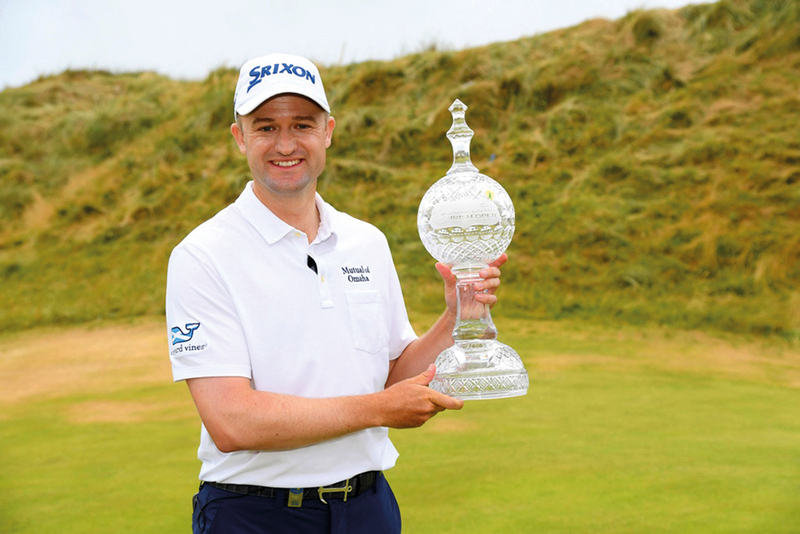 Donegal: Scotsman Russell Knox emphatically sealed his place in the European Tour’s season-ending DP World Tour Championship after holing two outstanding putts on the 18th as he beat Ryan Fox in a play-off to win the Dubai Duty Free Irish Open at Ballyliffin on Sunday. The 33-year-old walked up to the final hole in regulation one shot behind the Kiwi but made an astonishing 40-foot putt to sign for a 66 to take the clubhouse lead. Fox was coming up behind and having put his approach within 10 feet of the pin looked destined to pick up his first European Tour title. However, the 31-year-old narrowly missed his birdie putt meaning both would play the 18th again. Remarkably, Knox sunk another monster birdie putt before Fox again missed his birdie attempt. The victory sees Knox pick up 1,166,660 Race to Dubai points to jump from 25th to fifth in the Race to Dubai rankings with 1,910,475 points for the season. Having started the final day six shots off the lead, Knox also cemented his place in history with the biggest comeback in Irish Open history, which helped him go one better than his second place in 2016, where he was three strokes behind Northern Ireland’s Rory McIlroy. Meanwhile, Fox’s second-place finish also saw him book his place in the DP World Tour Championship as he collected 777,770 Race to Dubai points which moves him up from 40th to 13th in the Race to Dubai Rankings with a total of 1,312,808 points.